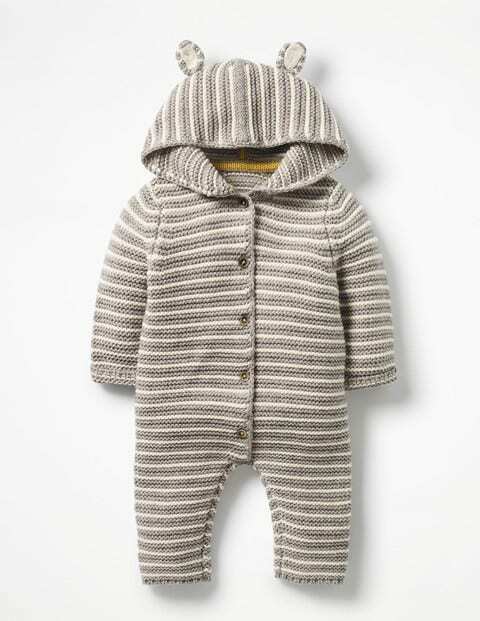 Baby will look so sweet in this stripy knitted romper, you'll hardly be able to bear it. See what we did there? We'll move on. It has 3D ears on top of the hood to make little ones even more irresistible, while our chunkiest gauge knit ensures it's as cosy as can be. Buttons all down the front make quick changes easy, and the cotton-merino blend pops in the washing machine (even easier).